This article will help you understand what product details are imported from WooCommerce and what information is updated back to WooCommerce from Orderhive. Orderhive imports the above details for variants also. However, before syncing, please ensure that the variants are assigned SKU and you keep Parent SKU and SKU of variants unique. Note: Orderhive doesn’t import products under “Product type: Private”. This is not supported by WooCommerce API yet. All your WooCommerce products will get populated on the Inventory page. 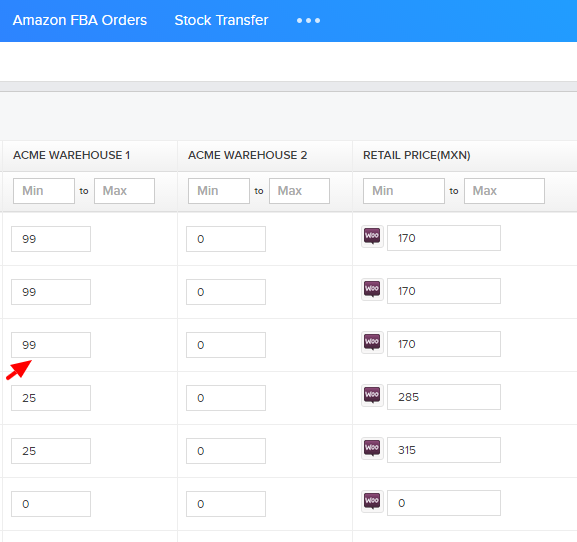 The quantity is saved under Available stock field in Orderhive. All the products will be part of the warehouse you selected during while integrating your store. Whenever you change the stock in Orderhive or a new sales order drops on WooCommerce or on any integrated channel, Orderhive will automatically push new stock levels to WooCommerce in real-time. 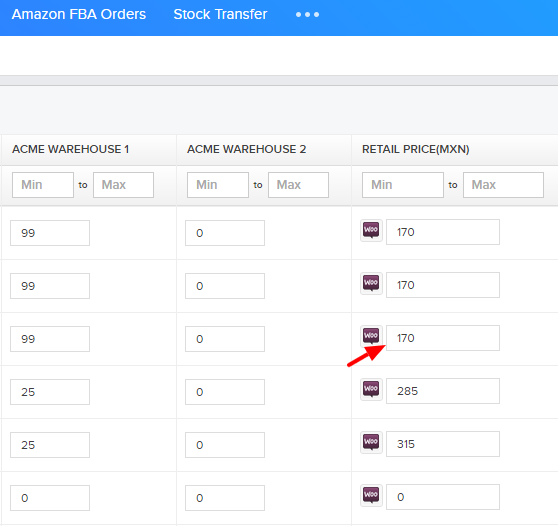 From the Inventory page, go to the product whose stock needs to be adjusted. Enter the new stock in the Warehouse QTY field and click outside the box to save. This action will trigger Orderhive to update the stock automatically to WooCommerce in real-time. You can even edit the inventory from Product detail page. Along with the available stock, you can even change the retail price of a WooCommerce product . The new price will get updated to WooCommerce in real-time. You can edit the price from the inventory page or the product detail page. Enter the new price in the Retail Price field and click outside the box to save. This will trigger Orderhive to update the price to WooCommerce automatically. After integration, any new products added in your WooCommerce store will import in Orderhive automatically.